I love meeting friends for brunch or breakfast, although with everyone’s busy schedules these days I don’t do it often enough. 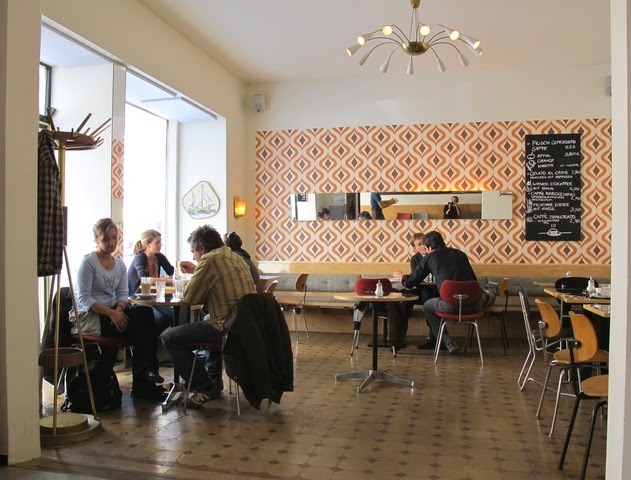 On my roster of nearby, charming and easy places to meet is Cafe Pini. The food is solid, if not expected (Baguettes with cold cuts, scrambled eggs, muesli), the atmosphere is charming, and the price is right. Like all places in the city, it fills up quick on weekends so get there early or see if they take reservations.